Nightlife fixture Lhaga Koondhor knows how to throw a party. We’re not just talking about bringing people together for a good time, she has a magic touch that elevates events to must-experience occasions. Formerly the manager of Longstreet Bar in Zurich, she’s a DJ, talent booker and event organizer who masterfully merges music and ambiance. 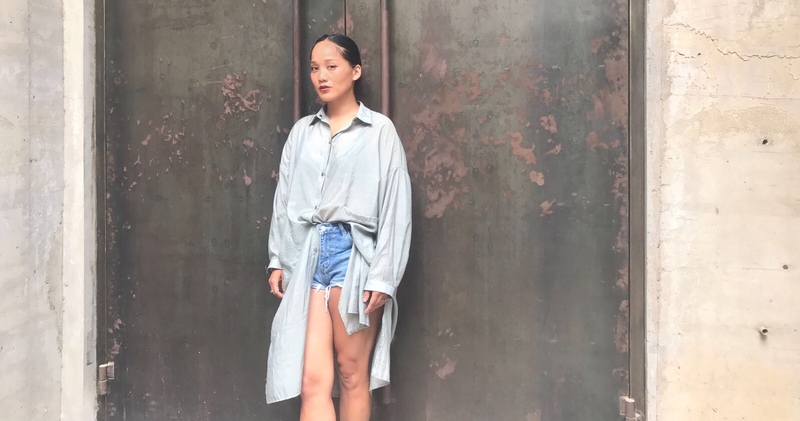 We spoke to the globetrotting Tibetan-Swiss artist about her ability to spot the next trend, what motivated her recent move to China and her key to looking and feeling beautiful. How did you get started in music and events? 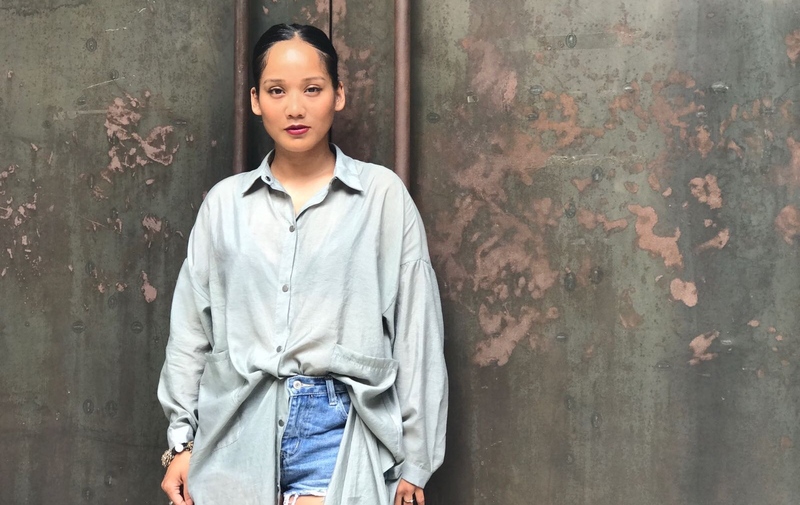 Lhaga Koondhor: I was the manager of a bar in Zurich called Longstreet from 2010 through 2016, where I booked lots of local and international acts such as Mykki Blanco, Arca, DJ Rashad, and Lumpex. Alongside that, I always had side projects such as House of Mixed Emotions, a platform I created with two artists, Jan Vorisek and Mathis Altman. I also founded an Asian girl gang called Wifey which threw events. Lastly, I DJ as Asian Eyez. You had a large influence on Zurich nightlife. What was missing in the landscape and how did you fill that void? I realized that the type of music that I liked was missing. Instead of waiting for someone else to bring that style to Zurich, or always having to travel to hear what I liked, I decided to bring it to my city. I like to listen and observe, which helps me scope out new niches. I didn’t have a big budget at Longstreet which was technically a bar — I just never treated it like it was only a bar. Since I didn’t have a lot of money, I always had to look for emerging talent. How do you discover who is going to be the next big thing? Just like with trend forecasting, finding talent isn’t about looking into a crystal ball. Discovering talent is reflective of culture. I did a lot of research, looked at the right platforms, blogs, and then tried to go with my instincts. I was particularly interested in hiring people of color or LGBTQ because I had the position to support underrepresented communities. I like how culture is constantly moving and evolving. For example, I really love slang because it’s a way to develop your own language. Sometimes we can reinvent something old into something new. I like the fearlessness of creating new things, particularly with subcultures that are always pushing boundaries. How do you express yourself through video? I am a very visual person. I love beautiful moments; situations that need to be captured and then I love adding a soundtrack to them. That’s what I love about video — I can merge my love for visuals with my other love, music. What motivated you to move from Switzerland to China? Being part of the Swiss Tibetan diaspora was an integral part of my upbringing, it affected my outlook on identity and displacement. Moving to China contributed to my overall border-smashing strategy in life. I see so much potential here. I went on tour with Juliana Huxtable last year and realized that I was ready to live here. I was too secure in Zurich in my job and not moving forward. I had to go out into the world get new inspiration. How do you see nightlife and music evolving in China? It’s easy to tell that this is the start of something big. There’s so much happening here. I was working with Team Radio who are doing great things. VPN allows people to connect, so people can see on Facecbook what people around the world are doing. I love what they are creating in this small bunker in Shanghai. There are also tons of promoters and kids crews like Genome who are bringing international acts to China, which is great. You change you look at lot – what inspires you? I’m a chameleon, anything can inspire me – food, traveling, music — anything. I also like to immerse myself with specific places. The first time I went to Paris, I was 15 years old and I loved going to flea markets. I tried to get that true Parisian style. I wanted to live like a Parisian girl and got completely absorbed into their aesthetic. Someone approached me about my look, and I told him I wasn’t Parisian — he refused to believe me. I adapt to my surroundings. I think being myself and loving myself the way I am is the most important part of feeling beautiful. I grew up in the suburbs of Switzerland, in Rapperswil. I didn’t experience a lot of racism, but still experienced micro-aggressions. I didn’t really have any idols or friends in school that looked like me. Sometimes I wanted to look more mainstream, but that’s exactly what made me as confident as I am today, looking different and embracing my look. I think listening to yourself, drinking water and taking care of yourself is also crucial. I’m really simple when it comes to products, I use Clinique and lately I’ve been using Laneige from Korea which is great.